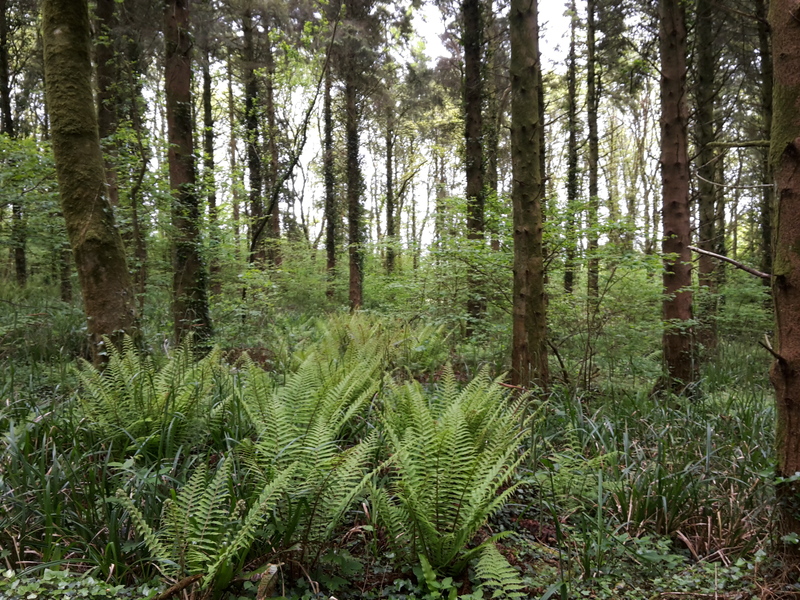 So this is part two of the write up of the nfas 3d championships held at Flete estate outside of Plymouth. You can read the first part here. Saturday would see me shoot B course and Sharon would be on A with the day starting quite bright and warm. B course layers were from the Tavistock Archers club. 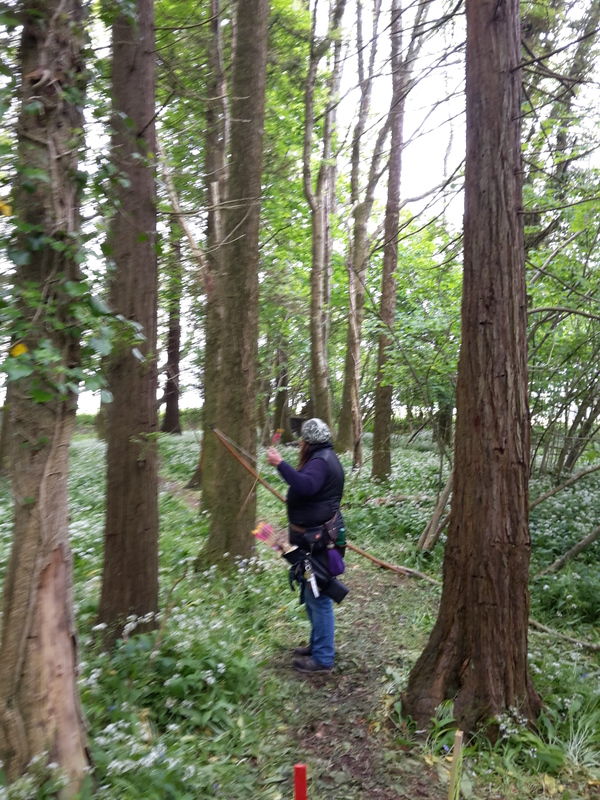 I started on peg 19 which was a very short walk out the only downside being it meant we would pass catering only once between target 36 and target 1. 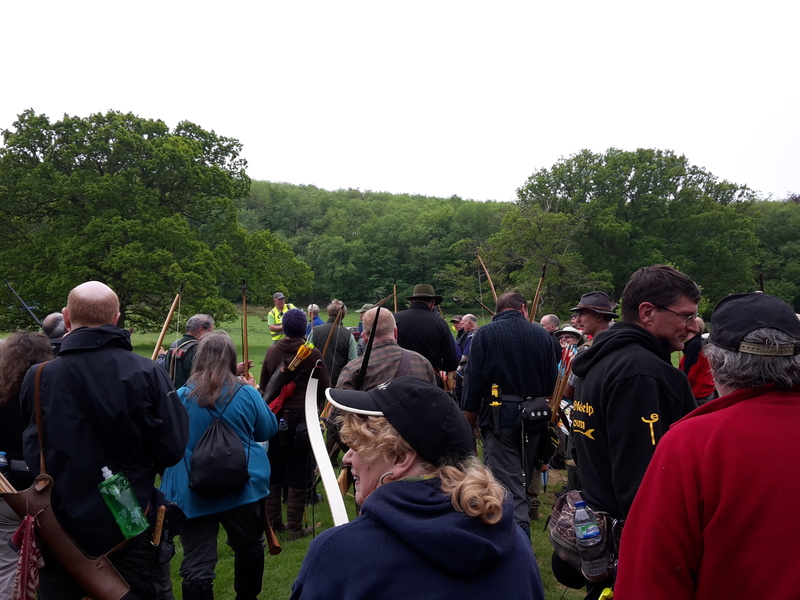 My shooting group would be Andy from Lyme Valley shooting longbow, Kate, Dawn, both shooting flatbow, and Jill Haynes from Pride Park who has recently swapped to Longbow. 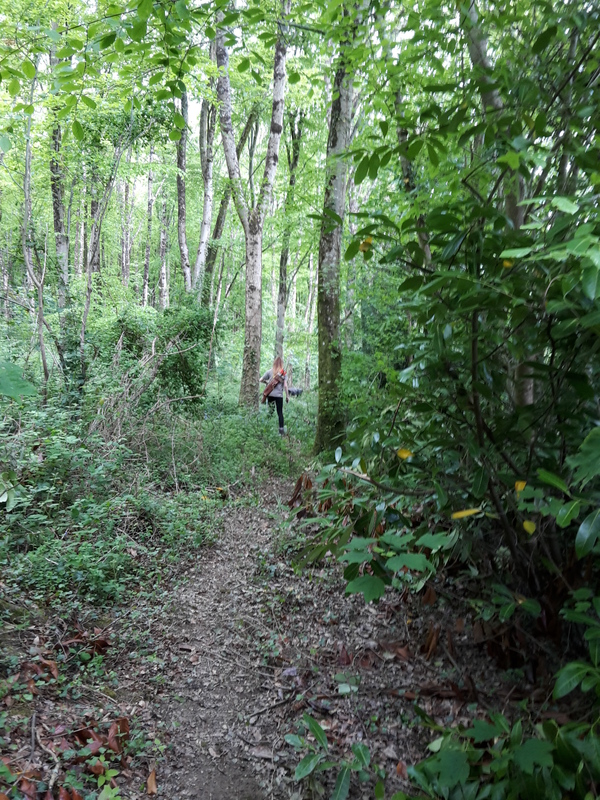 B course was on a wooded hillside overlooking the camp site and would be physically more tiring than we expected as you went up and down the slopes, with the aid of a few well placed ropes. 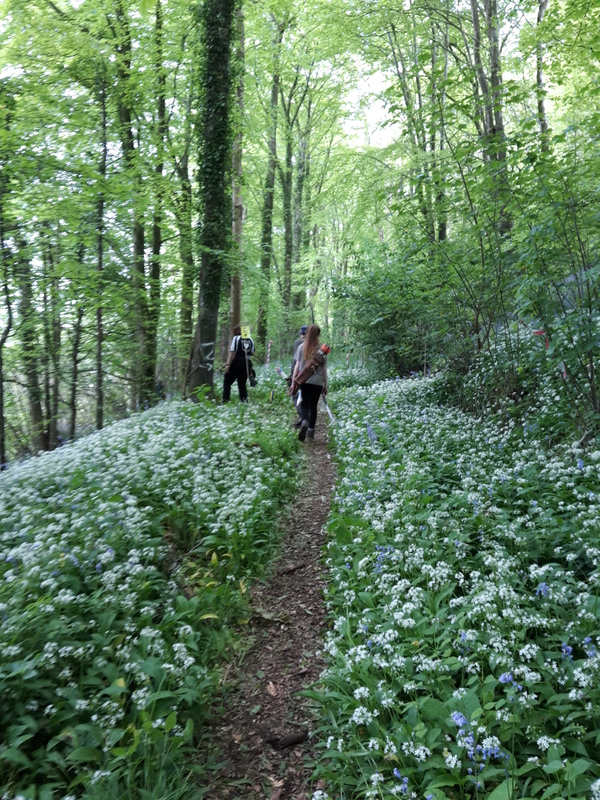 Congratulations to anyone who got round without falling since I failed this on a comparatively flat bit of the course slipping on the bluebells and jarring my right wrist. 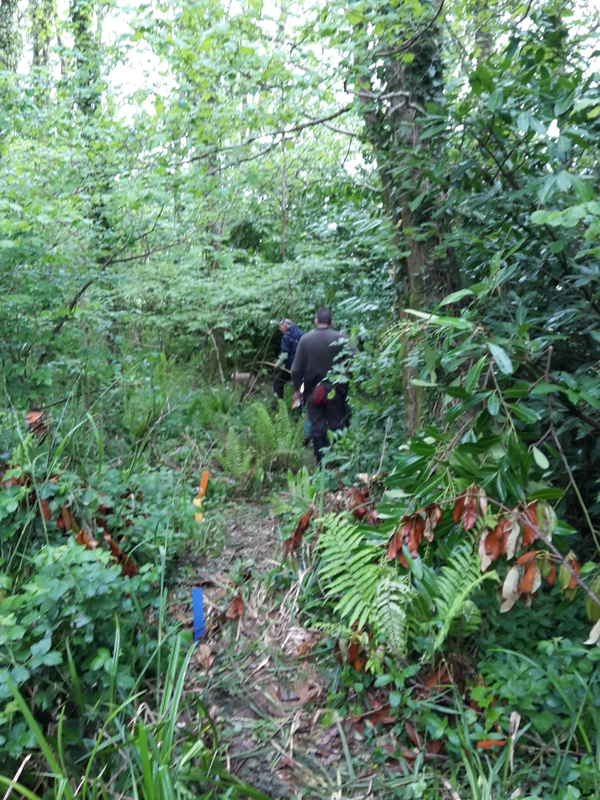 The Tavistock club had worked hard to cut routes through the undergrowth and done their best to cut steps up and down the steeper slopes. 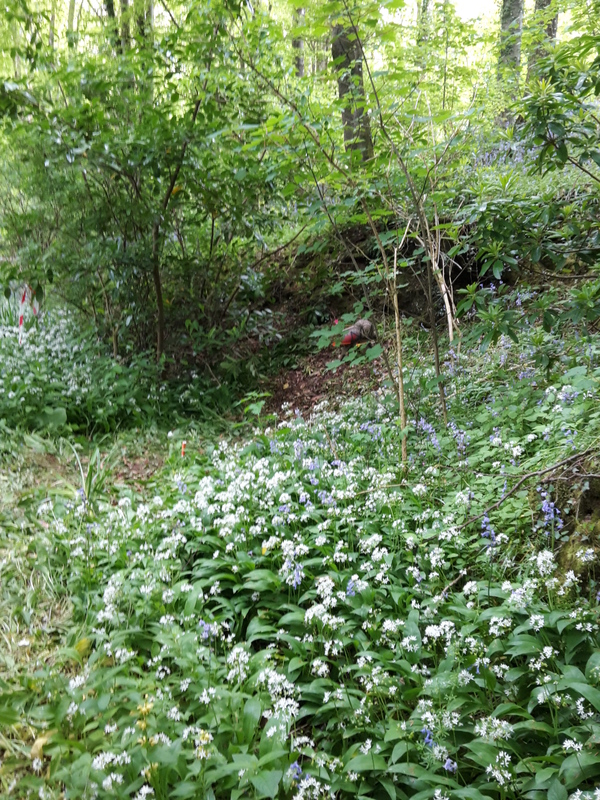 The other thing about the wood was the sheer quantity of bluebells covering the forest floor along with the scent of the bluebells and wild garlic which hung heavy in the air. 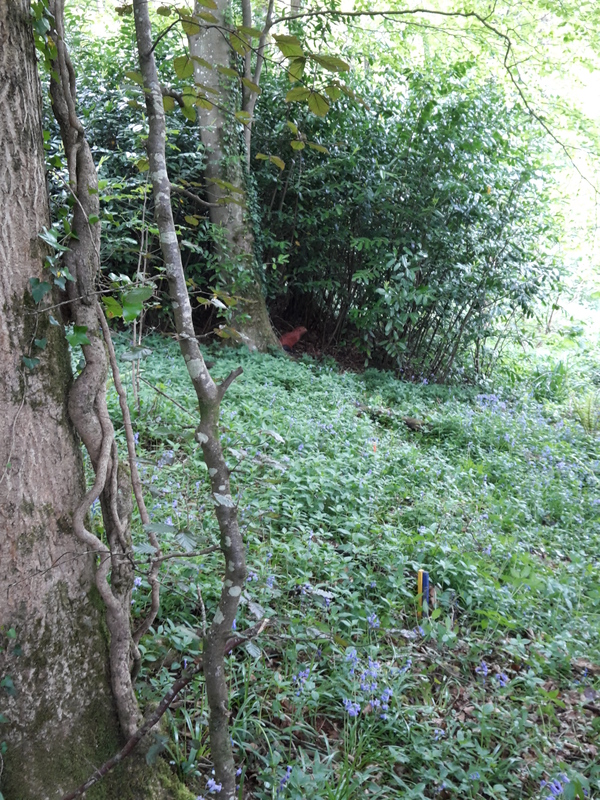 Though the bluebells did make searching for wayward arrows challenging at times. Saturday would prove to be a very slow day for us and others. 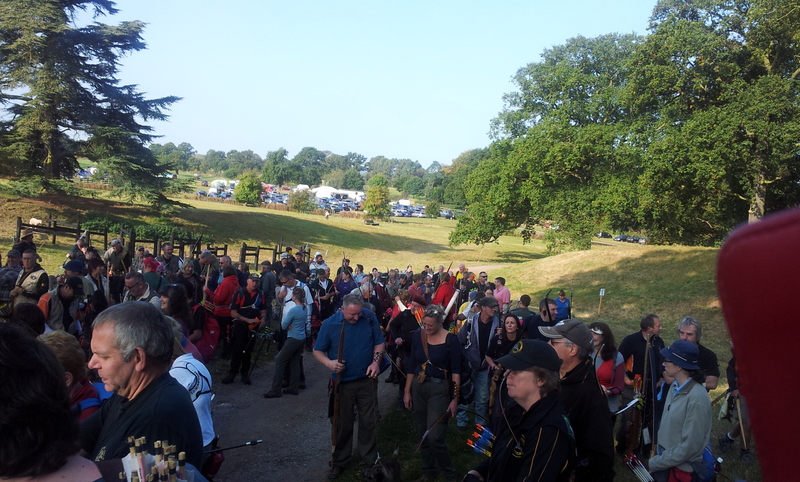 We were waiting on the majority of pegs for 5-10 minutes or longer whilst the group in front were finishing shooting, searching for arrows or scoring. This didn’t make for a flowing days shooting. In fairness it wasn’t their fault as apparently there were slow archers in front of them, which caused the delays. Though the organisers were allowing jumping of slow groups it wouldn’t have helped. Having said this our group gelled well and we had a good day and a lot of laughs. It was great to shoot with Jill, she is a great laugh and has a wealth of knowledge and experience. She is also a great coach and was my assessor when I did my coaching course all those years ago. She told us of the nightmare journey down from Derbyshire a couple of days earlier, having first had a blow out of the caravan tyre on the motorway and then damaging the side of the caravan when pulling onto the site. Overall the course was pretty good, though there were long delays on one target where a safety issue had been identified. 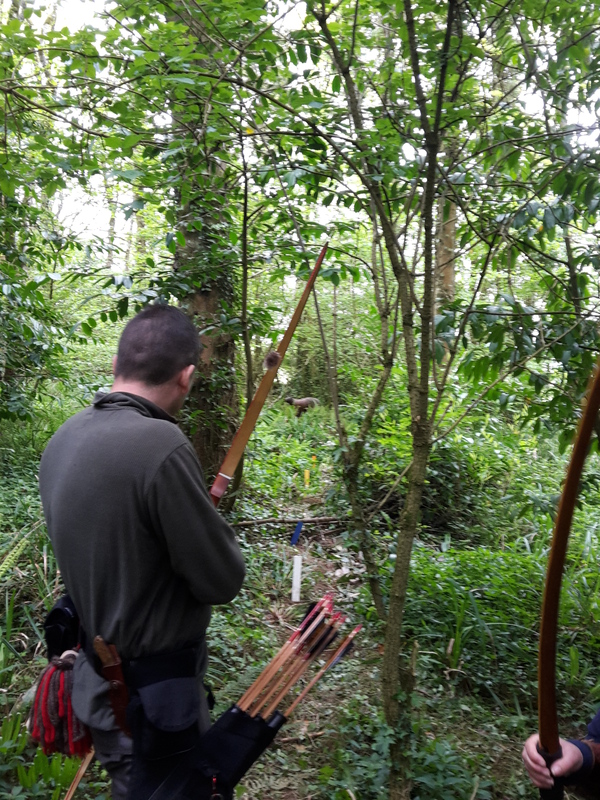 B course was situated next to X course and unfortunately a shot on X course had the same over shoot as target 35 on B course which hadn’t been spotted until archers were missing (I don’t mean that they had been shot but that their arrows were missing). 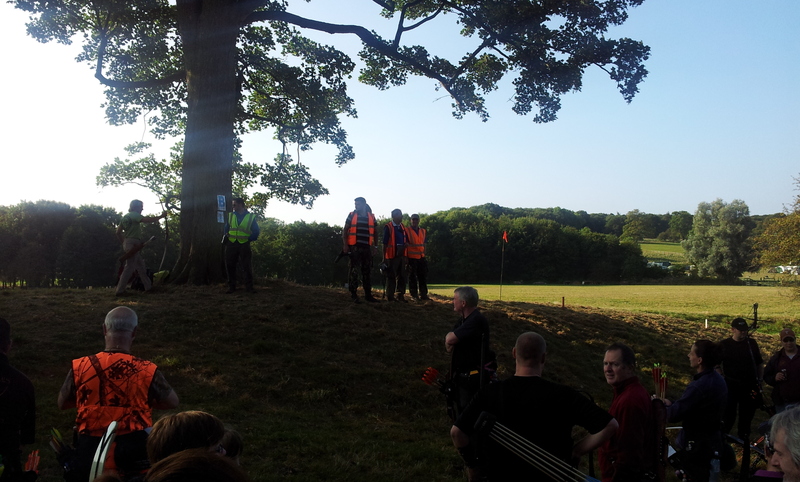 This resulted in coordinating shooting and collection of arrows on the two course which Tavistock marshalling. 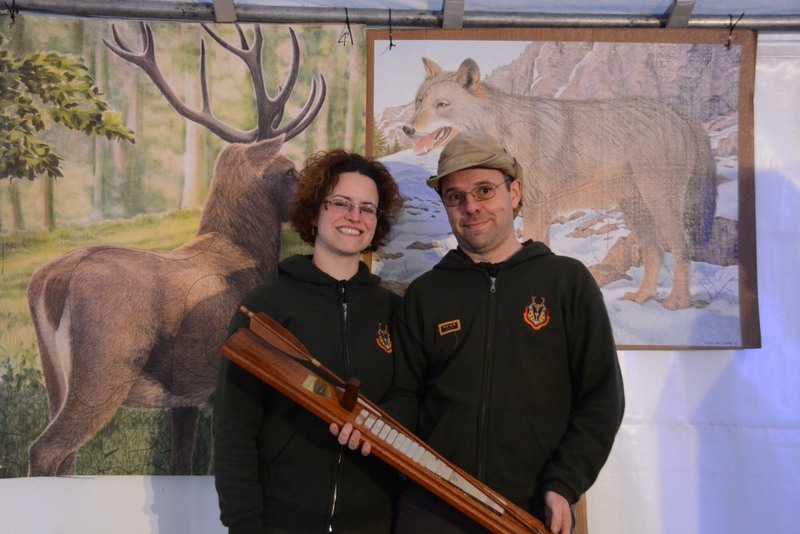 Distances were fair for the size of target and can think of only one that might be considered stretched which was a 3D boar. 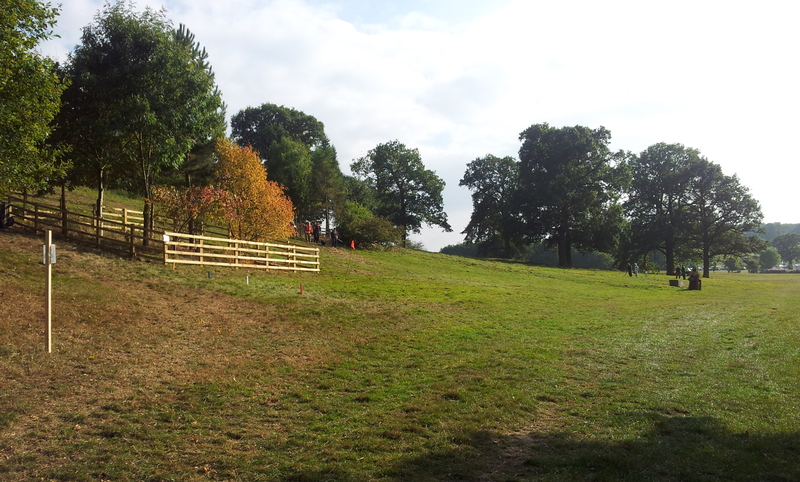 Though I wish there weren’t so many course layers who set targets with trees directly behind. Think there might have been a couple of shots where you felt too close to the previous target but I’ve seen far worse on open shoots. Overall I thought it was a good challenging course and fun even if it was a very slow day. 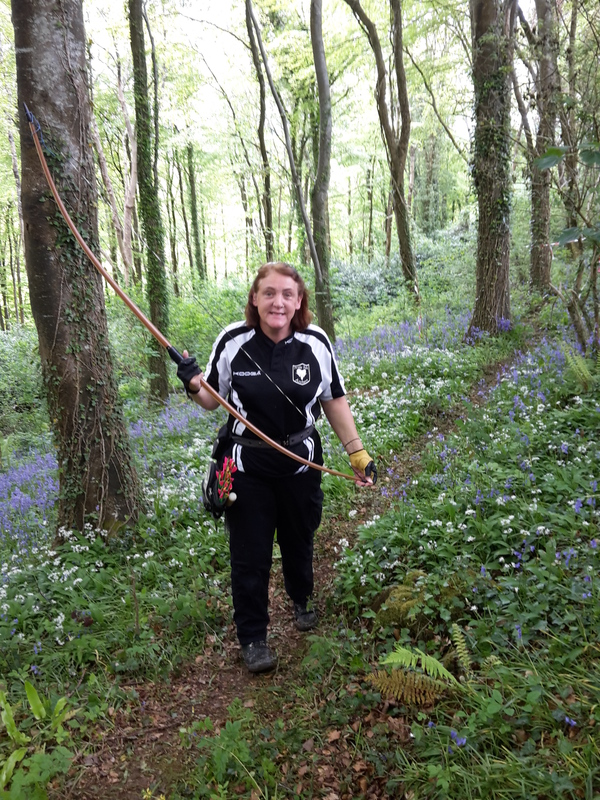 By the time we were sitting down for a meal that evening back at the hotel the results were up on-line and saw Sharon leading in ladies Hunting Tackle by just 4 points. 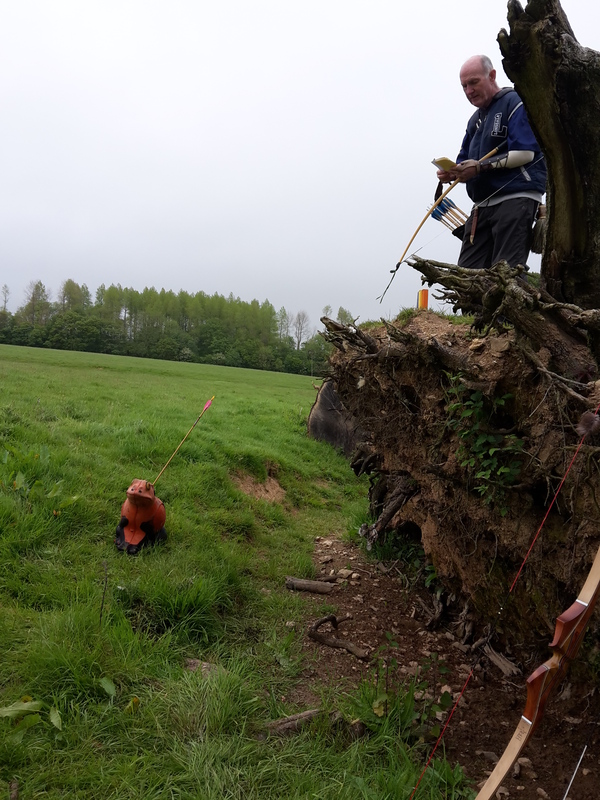 Sunday was a more overcast day and would see me shooting A course, set by Ashcombe archers. Sharon on B course. 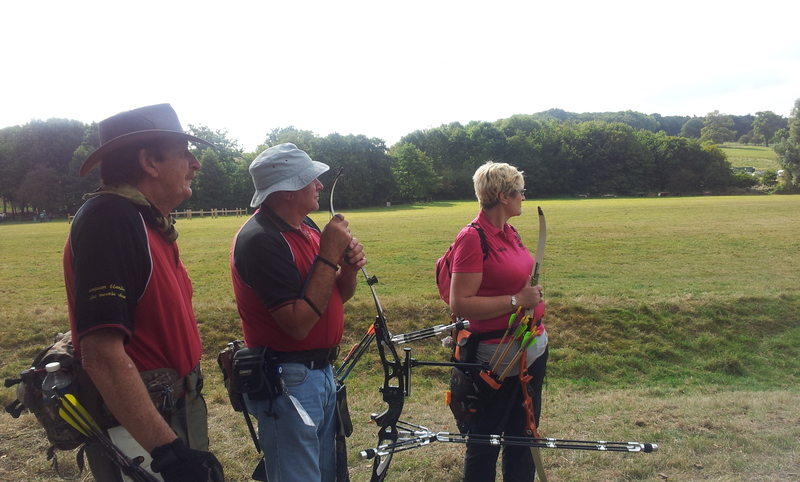 My Shooting group changed completely and would be made up of Matt shooting AFB, Dominic and Sandra both shooting longbow. The day flowed better than Saturday with significantly fewer hold ups, I think we were waiting on only a couple of targets the whole day. Ashcombe’s catering was very good with a wide selection of cakes, hot food and even fresh fruit. This course would be very different from yesterday’s being largely flat shots. I think it is fair to say I didn’t enjoy elements of A course though. 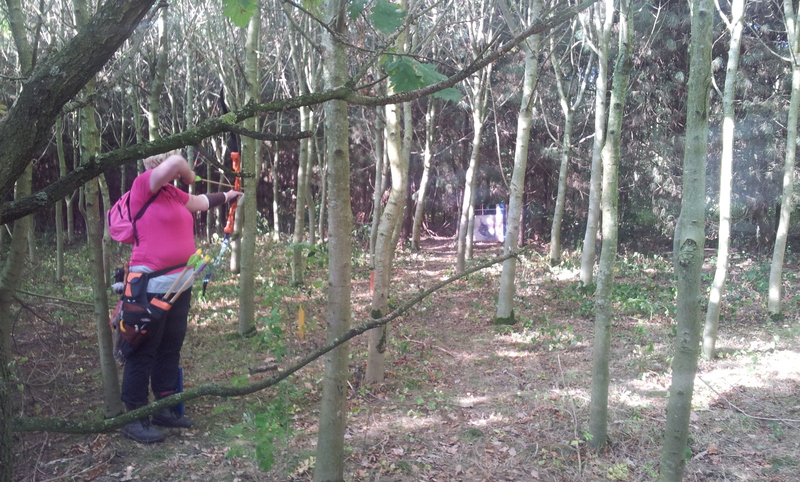 They had a beautiful piece of woodland where they set some very interesting and challenging targets. I thought this worked well and was where we started on target 16. The section I really didn’t gel with was the section in the field. 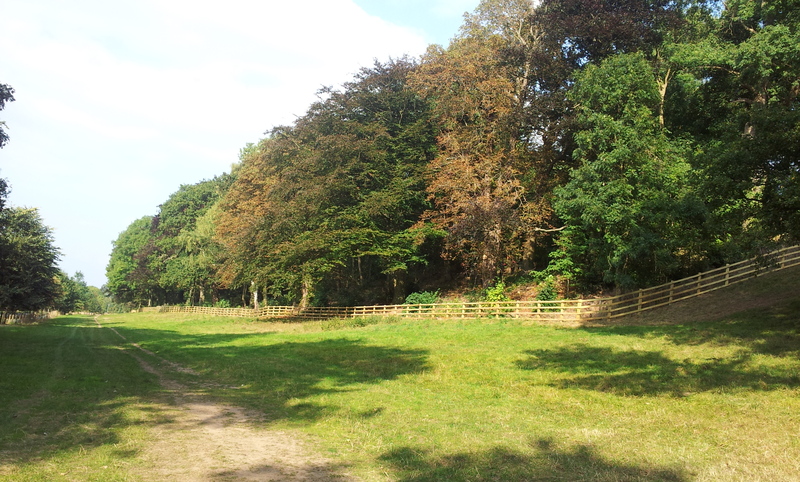 They set a loop from the main wood through the field to a smaller wood and then back through the field. Targets 19 to 36. There were I think 12 targets in the field which I think was excessive for a 36 target field course. I think a few maybe 5, 6 max in the open is fine but a third of the total course is too many. Of the ones they positioned in the field there were some very nicely set targets like the frog you shot off the stump or brown bear over the fallen tree. There were others that didn’t work for me or engage with me, like the cobra, brown ram and dinosaur. In contrast the dinosaur in the wood was placed really well. Maybe they didn’t have time to fit them all in the main wood. I don’t think it helped much when the rain hit and we were in the field. true it wasn’t as wet as past years but it’s not much fun shooting in the rain in an open field. 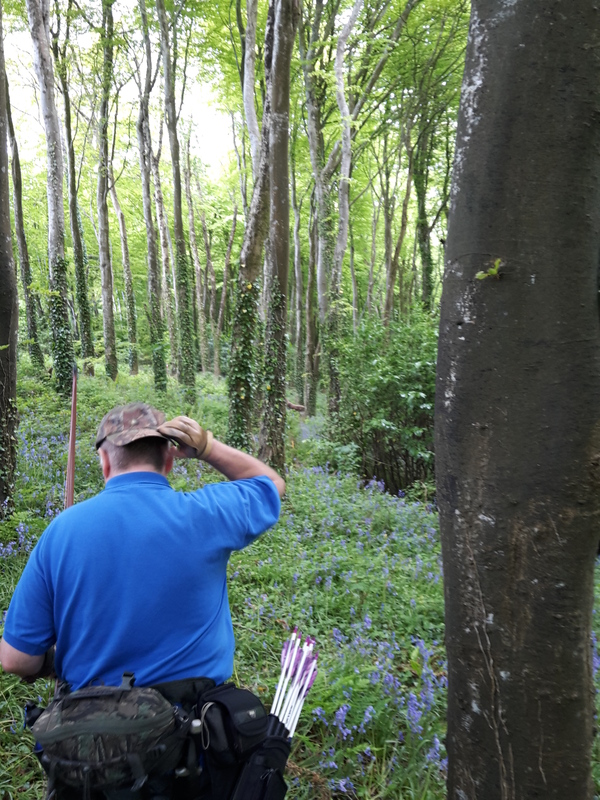 I know the sport is called field archery but that’s the irony as most of the time we are in a wood. 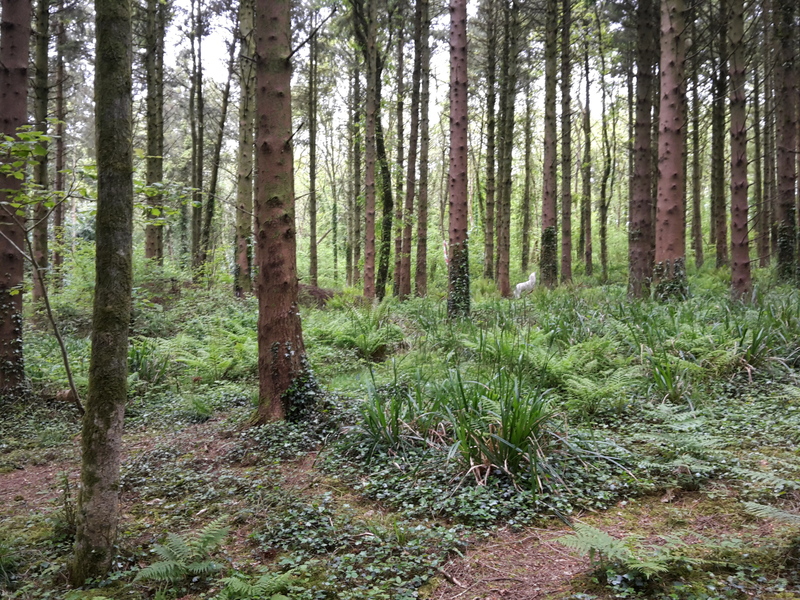 In all though it wasn’t a bad course being safe and with some well set targets in the woodland, though I would have liked to see some more in woods. Again I was lucky enough to have a good group that was socialable and fun to shoot with. 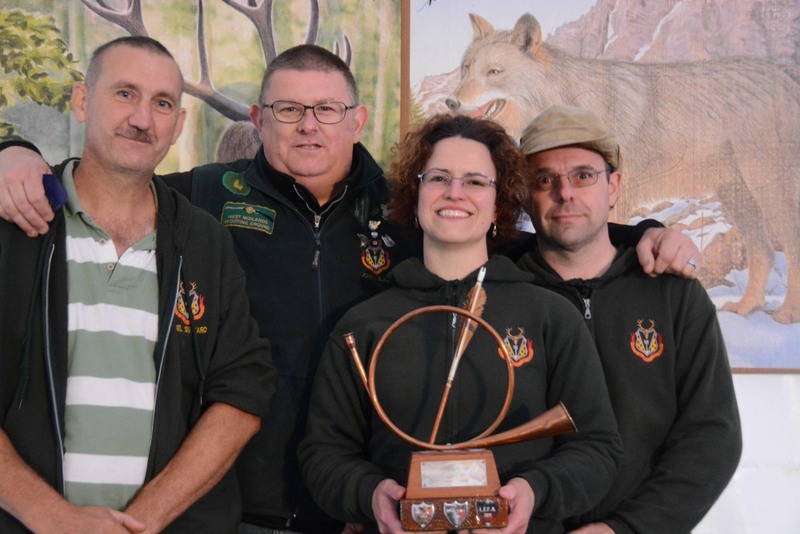 Special congrats to a certain Jill Haynes who won bronze in ladies longbow, well done Jill. Hope it made up for all the problems you had getting there. 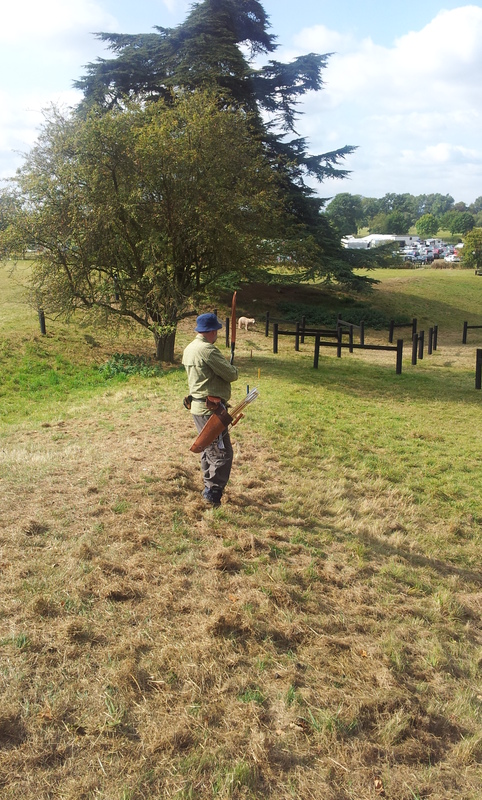 My congratulations to Colin from Severn Valley who came second in gents crossbow. After a poor performance I managed to scrape in at 11th place in gents afb. 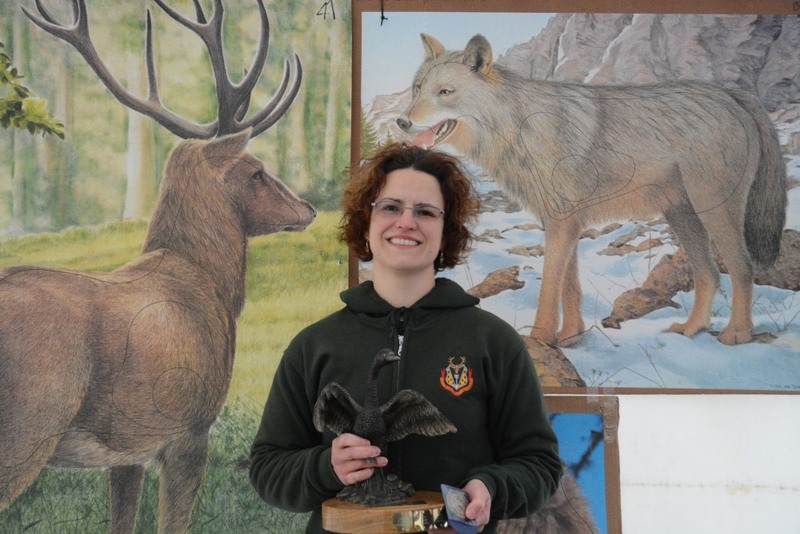 As some will already know Sharon retained her championship title by winning ladies hunting tackle having stormed the second day coming in with over 600 points. Sharon celebrating her win in the bar on Sunday night. Firstly it was going to be a long report so I’m breaking it down into two parts. Overview of the event, day one and day two. Secondly some of my comments maybe read as gripes or criticism based on just not shooting well. That’s not the intention they are my observations, thoughts and opinions. So here goes,I hope you like this epic. 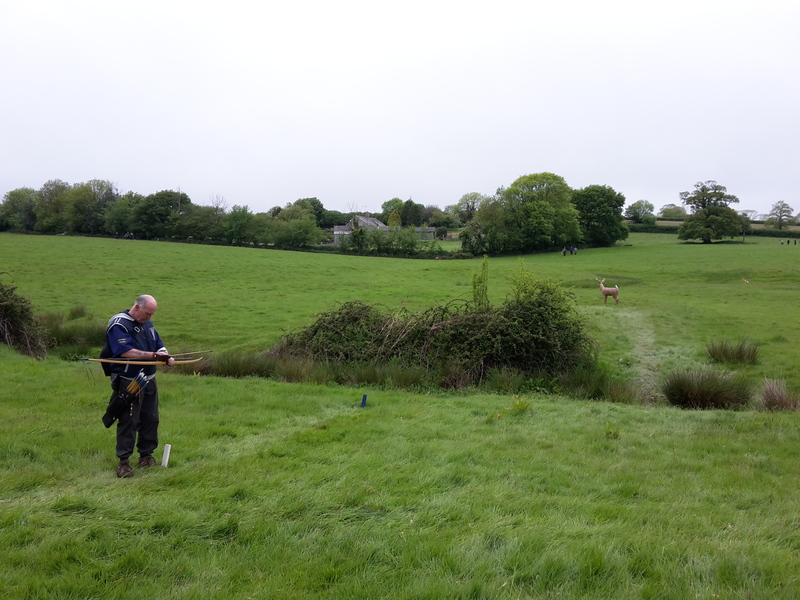 The late May bank holiday weekend saw us load up the car on Friday morning and head south to just outside Plymouth for the NFAS 3D championships. Unlike others we had a pretty easy drive down and popped into the venue before heading to the hotel. This year we decided against camping and booked into a Premier Inn about 20 minutes drive from the venue. This would prove to be a popular choice of accommodation for many competitors as the restaurant and bar was well stocked with fellow archers in the evening. 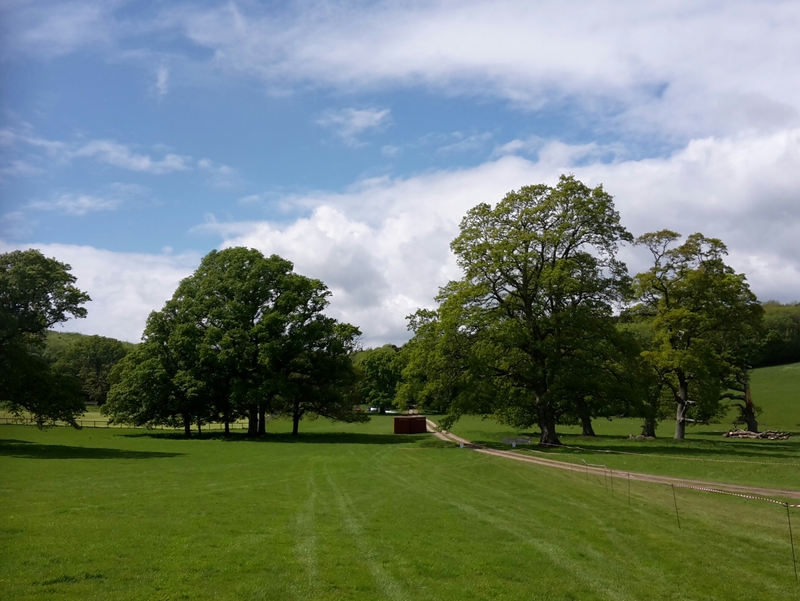 The 2015 champs would be the first time we would shoot a 3D championships not held at Osmaston estate, instead it would be at the Flete Park, Devon. I think the extra distance put a few people off travelling, which was a shame as the venue was stunning in parts and relatively easy to get to on the roads (traffic allowing). Due to these lower numbers of attendees (some 550 rather than 650 or so in previous years) the organisers reduced the courses from the normal 40 3d targets to only 36. I can understand why they did this, as it made it easier for the course layers but personally I don’t think this was to prove a good idea. 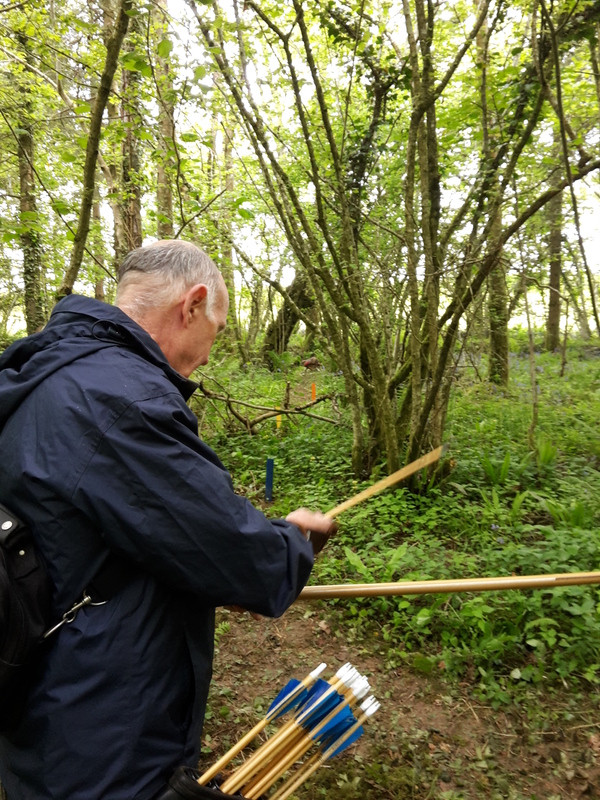 The extra few empty targets might have lessened the delays experienced by some archers on the courses. The other thing which was new was that they instigated a time limit of 8 hours from the start of shooting. Any archers not completing the 36 target course within this time would have to be scored only on the targets they had shot. Reduced numbers at the event meant there were less people. No particularly long walk outs to the courses and corresponding walk backs at end. 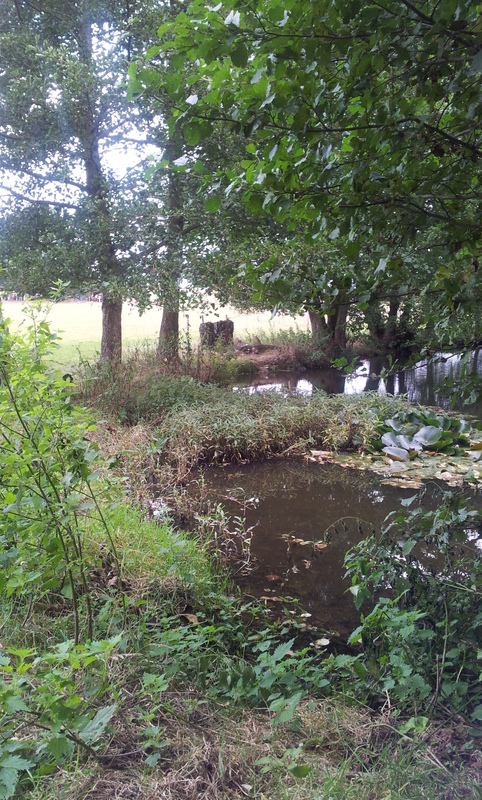 On some courses at Osmaston the walk back took 30 minutes. 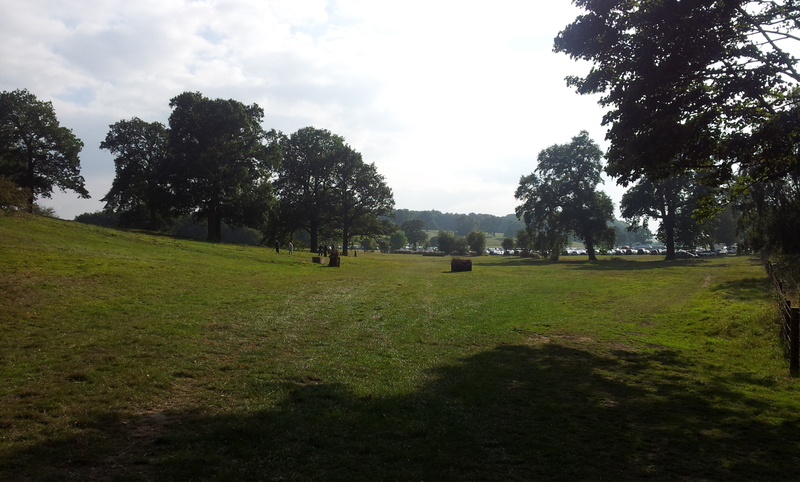 The mostly good weather, which resulted in people not slipping and sliding as much as at past events at Osmaston. I’m not sure if I like the idea of a time limit. Would it have worked if there had been any problems? Who knows, guess time will tell in the future if they do this again. 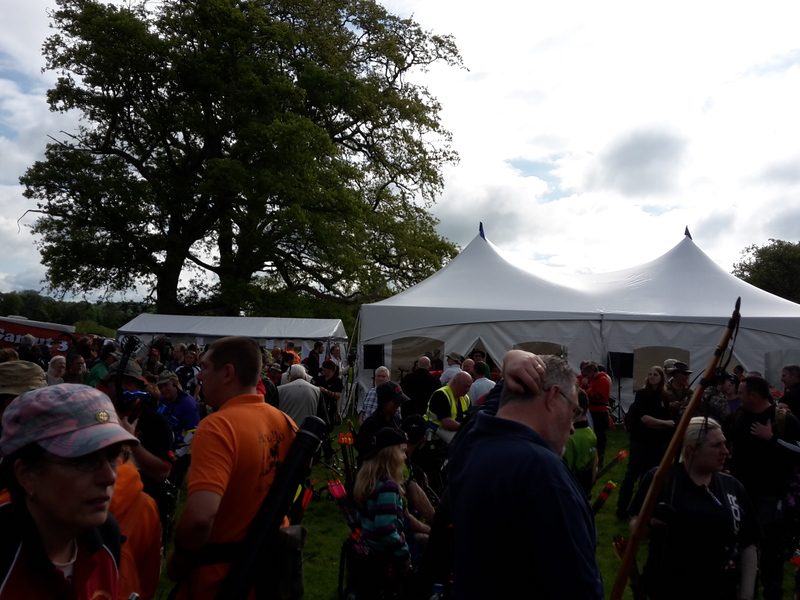 There is a an awful lot of work that goes on behind the scenes at events like this, not just the setting of the courses but also the sourcing of a venue, organising delivery of 3ds and administration of shooting groups. I’ve been lucky enough to offer some help a couple of times to break down a course. So I’d like to say thanks to all involved. 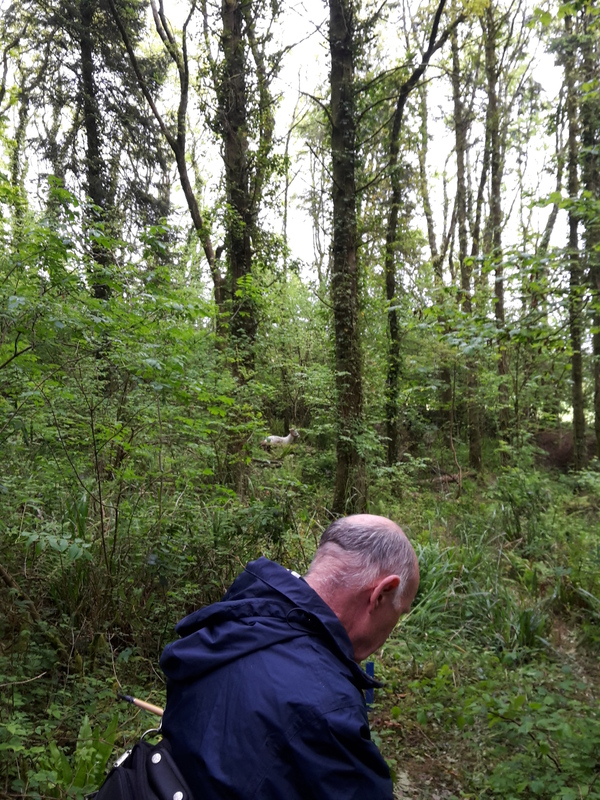 Top marks to the administration team who, not only coped with last minute drop outs but also managed to get the first day and final results out and on the website within hours of the last people coming off the courses. Well done. 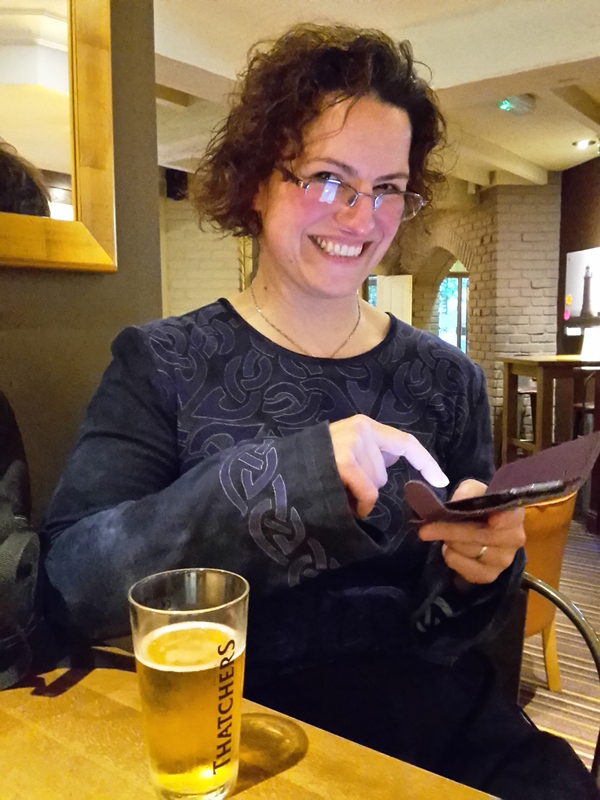 I would also like to say how great it was to meet new people and those readers and followers of this blog who introduced themselves throughout the weekend. Thanks guys. The championships consist of 2 days of shooting 2 different courses. X & Y courses were for archers shooting compound bows, crossbows and barebow ie the metal/carbon arrow courses. A & B were for longbows American flatbow, primitive and hunting tackle ie the wooden arrow courses. You are randomly allocated to a shooting group. With all archers in the same class shooting the same course on the same day. So I would shoot B course Saturday with all other flatbow archers and A on Sunday. Sharon was shooting hunting tackle so shot A course first and then B. Okay so that is all for now. I’ll try and get the other parts written up as soon as I can. In the meantime thanks for reading.